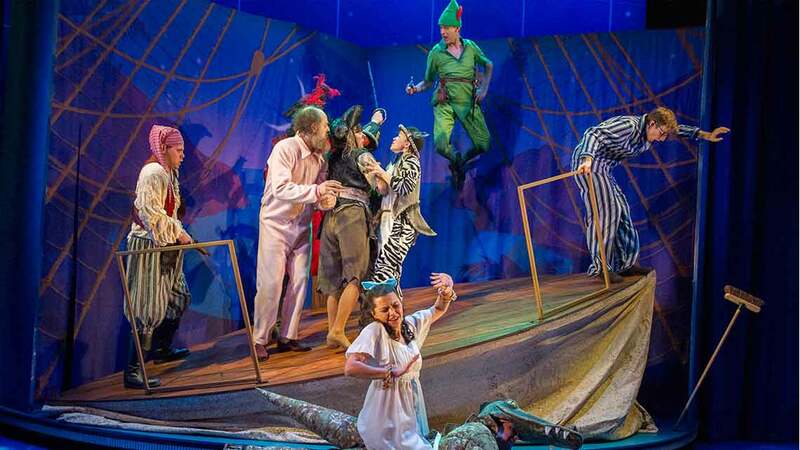 Mischief Theatre’s acclaimed production of Peter Pan Goes Wrong returns to the Apollo Theatre this Christmas. 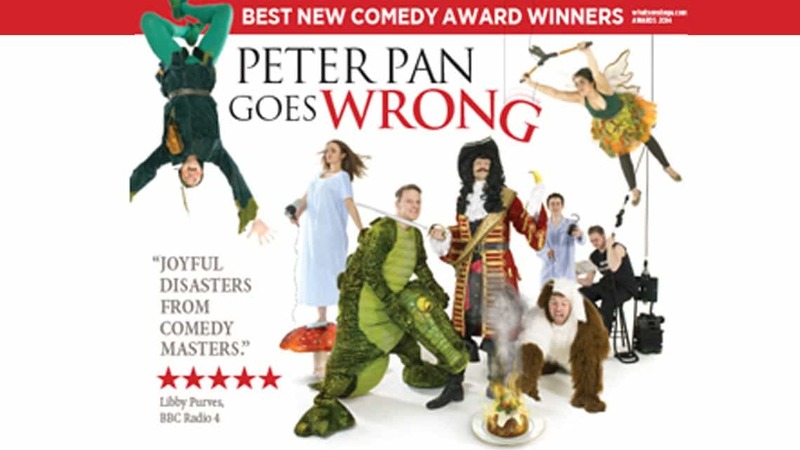 The Olivier Award winning team behind hit shows The Play That Goes Wrong and The Comedy About a Bank Robbery once again present their hilarious, slapstick comedy to J.M Barrie’s classic and timeless favourite tale, Peter Pan. In Peter Pan Goes Wrong, the members of The Cornley Polytechnic Drama Society once again battle against technical hitches, flying mishaps and cast disputes on their way to Neverland with hilarious and disastrous results. Peter Pan Goes Wrong will play a limited Christmas season from 20 October 2016 until 29 January 2017 at the Apollo theatre. 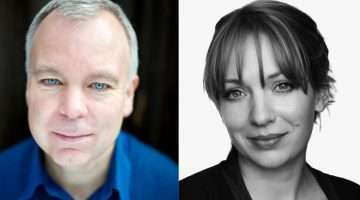 The cast includes Dave Hearn, Henry Lewis, Charlie Russell, Jonathan Sayer, Henry Shields, Greg Tannahill and Nancy Wallinger. Directed by Adam Meggido, with sets designs by Simon Scullion, lighting by Matt Haskins, costumes by Roberto Surace, sound design by Ella Wahlstrom, songs composed by Richard Baker and Rob Falconer. Why book Peter Pan Goes Wrong tickets with us?